Since the beginning of time, man has searched for new ways to cook meat. AS far back as 1600 B.C. man has smoked meat. This was done out of necessity; first to preserve meat second to tenderize tougher cuts of meat. Today we smoke to flavor meat as well. 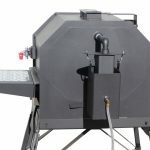 To achieve this we use smoke pits which are built in ground, above ground all of which are designed to retain heat and many times feature timers, wood feeding bins and automatic temperature controls, all of which has made this process easier. 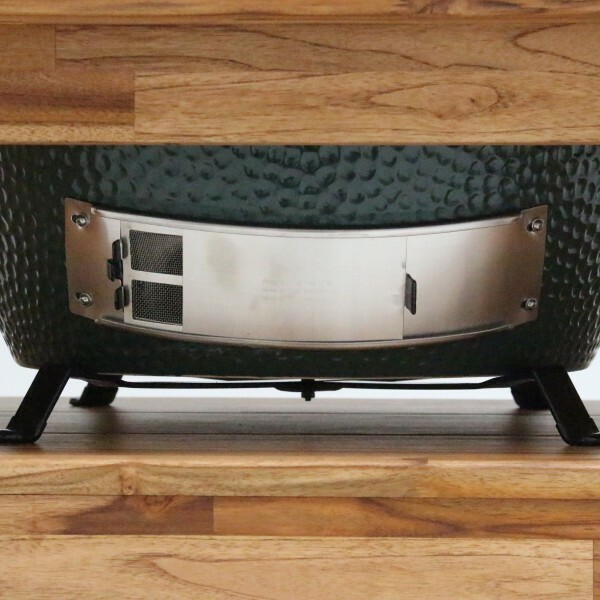 Even with all of these innovations the time to smoke meats hasn’t really changed……… Until Now! 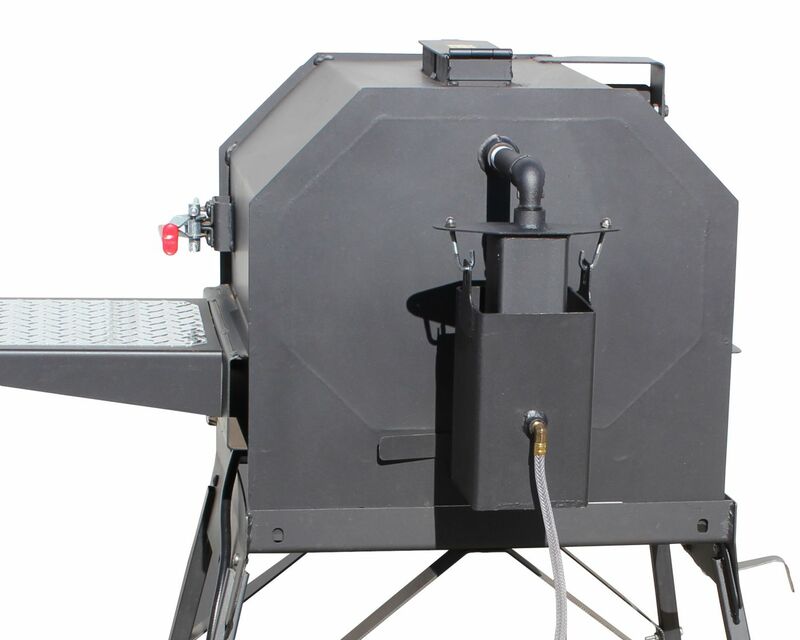 Here is the Cajun Express Smoker, featuring the patented sealed pressure/vacuum chamber. With this revolutionary process you can smoke Babyback Ribs in 35 to 45 Minutes. This alone saves 2 to 3 hours over other smoking systems. 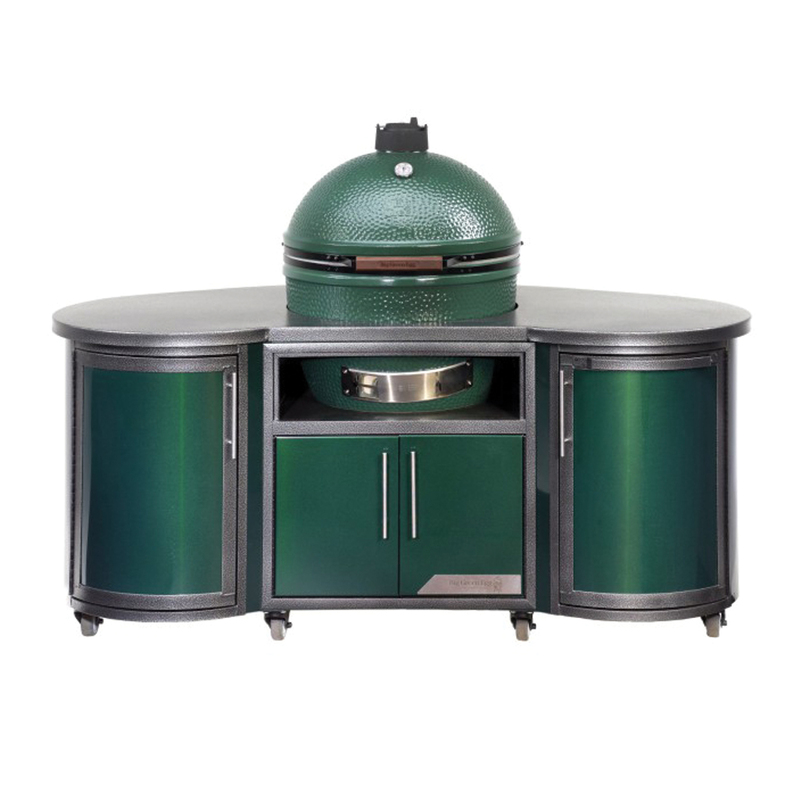 The CES6 Smoker is just the right size to fit most backyard cookouts and gatherings. 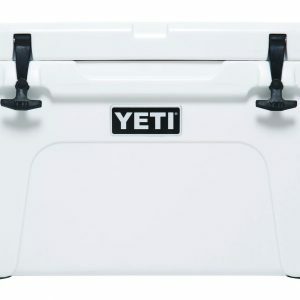 Whether it is for a average to large sized family or a medium sized gathering of friends and family, you definitely with be the hit of you backyard cookouts. 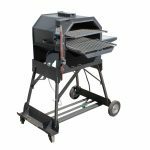 This heavily constructed smoker is built to last and yet allow us to enjoy fresh smoked food on the time budget most of us deal with on a daily basis. 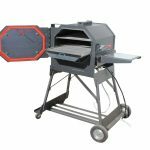 Made from solid carbon steel with a high temp charcoal gray finish, this smoker will withstand many years of use. 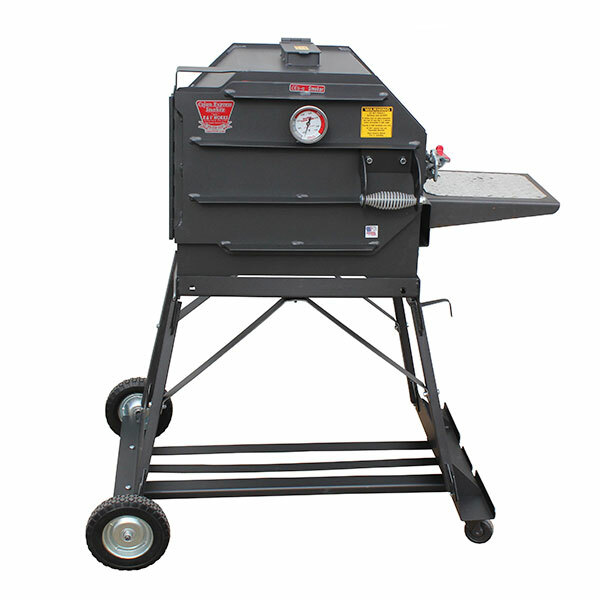 This smoker is equipped with 8″ solid rubber wheels and a front axle with castors making this fryer easy to move. 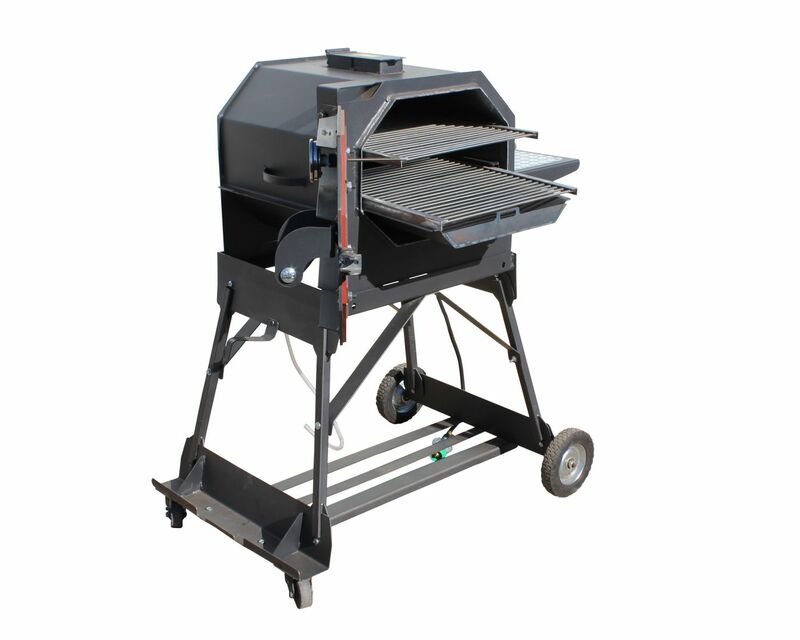 This smoker is set up to use Liquid Propane and wood chips and is for outdoor use only! Fastest smoker in the bayou! 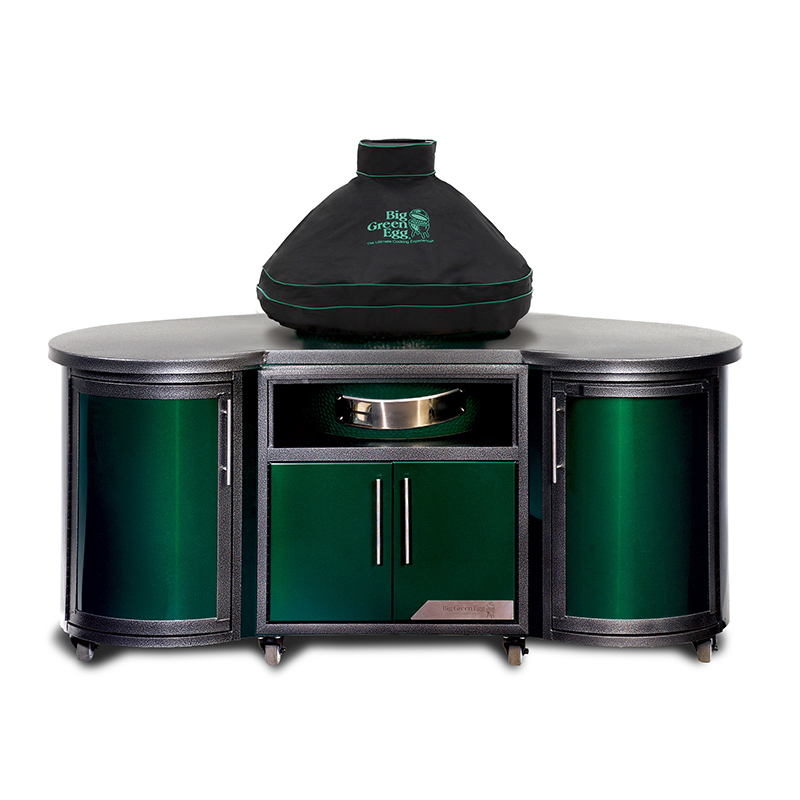 Works off of a patented smoking process utilizing a pressure/vacuum regulator. 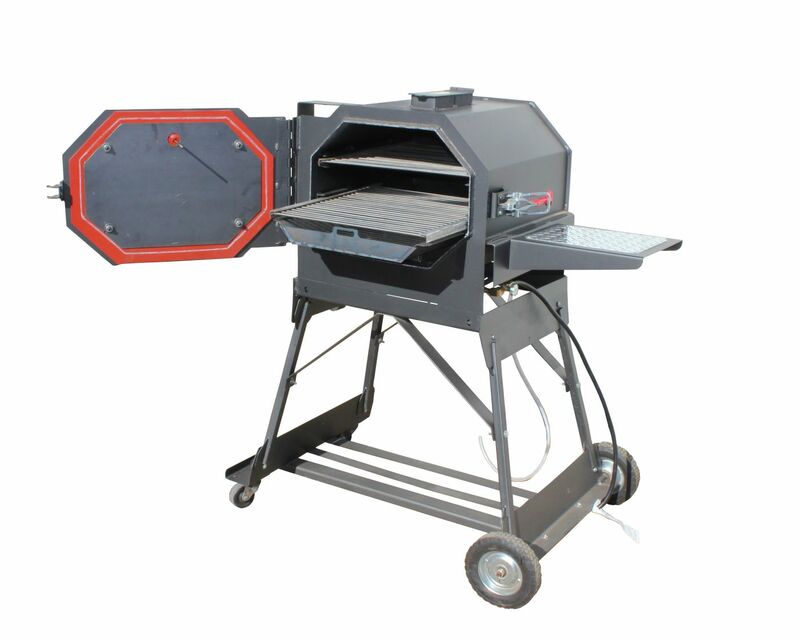 The regulator varies the PSI inside the sealed cooking chamber, breaking down the connective tissues in meats much faster. This gives you fall off the bone tender meat in world record time!